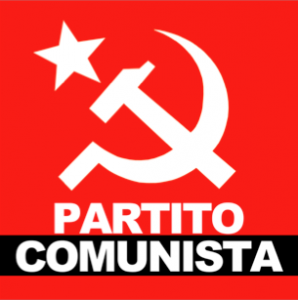 Special interview with Guido Ricci, member of the Political Bureau and head of the International Department of the Central Committee of the Communist Party, Italy (Partito Comunista). 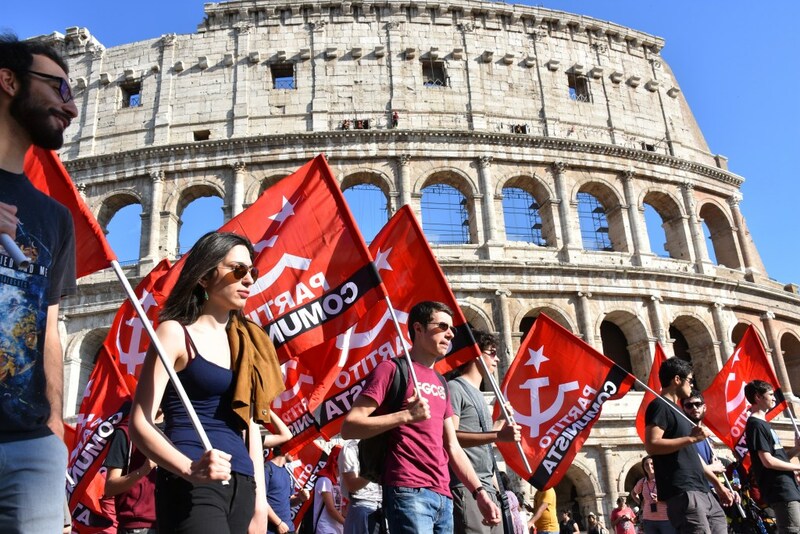 IDC: Taking into account the existing difficulties and the political correlation of forces, how do you evaluate the result of the March elections for the Communist Party, Italy? Did you achieve the basic objectives you had set before the elections? PC: As you know, our Party does not consider elections and the parliamentary activity as the only possible form of struggle. 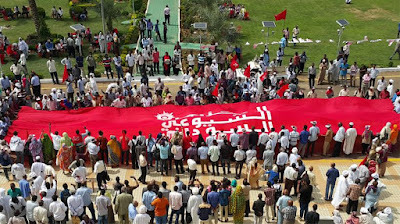 According to the teachings of Lenin and Gramsci, the presence in the bourgeois parliament must be used to develop the work outside and against it. We approached these elections as an opportunity to verify our Party's mobilization ability, improve our organizational skills and attract new militants. We considered the elections as a means of making the party grow. Actually, a considerable number of workers and young people came into contact with the Party during the signatures drive and the election campaign. New party organizations have been established and the existing ones have been strengthened thanks to new comrades joining them. On the other hand, this mobilization has also allowed us to pinpoint some organizational flaws and shortcomings - that must be corrected and eliminated in a short time -, often due to our comrades' inexperience facing totally new electoral regulations. For the first time since 2001, the Communist Party has been finally participating again in parliamentary elections with its name and its symbols - the red flag, the hammer, the sickle and the star -, and its program, that was not made of electoral promises, but of calls to fight for concrete revolutionary goals. After 17 years, the Communist Party was finally back on the electoral ballots! Due to both organizational mistakes and bureaucratic reasons, our Party was admitted to ballot only in the 53% of the territory, where more than 100,000 votes have been collected. From this point of view too we give a positive assessment of the outcome, because these elections demonstrated that the Communist Party is a force that exists, grows, gathers strength and approval amidst the working class and the people's strata. Nevertheless, this is only the beginning. From now on we must carry out a more intensive activity to turn these supporting people into new militants joining the Party and make our Party to further grow. IDC: Could you summarize the fundamental problems that the Italian working class and the popular strata face today? PC: The objective problems affecting the Italian working class are, more or less, the same as in the other countries of the European Union and, in general, the developed capitalist world. Exploitation is increasing through the relevant decrease of real wages and pensions, the extension of the retirement age, the intensification of the work paces, the cut of basic social services. Notwithstanding the optimistic proclamations by the government about the economic recovery, employment is not on the rise, if we consider the real quantity of hours worked. Unemployment and job insecurity are affecting large people's strata, particularly in Southern Italy and amongst the youth. The workers' rights, including the trade union rights and the right to strike, are under attack by the bourgeoisie and more restrictive bills are being drawn up. Good quality healthcare, education, culture, sport and leisure are out of reach for the working class and the proletariat. The right to housing is not guaranteed either. We could continue for a long, but in one word we can say that the life standard of proletarians is worsening, rapidly and unprecedentedly since WW2. Then we have to mention some subjective problems, arising from inside the class in the historically given conditions of our country, even if determined by objective external causes. Contemporary monopolistic capitalism, often for political rather than economic reasons, tends to avoid large concentrations of workers, by a combined use of labor-saving technology, outsourcing of parts of production and services, full or partial relocation abroad of production and services. The result of this trend is not as quantitative as it is qualitative. The total number of employed workers may not even vary, but they are territorially scattered, fragmented and divided. Fragmentation makes information sharing and communication within the class more difficult. It allows capitalists to control and manipulate workers more easily and may bring to a loss of class consciousness. We already witnessed several cases of workers on strike fighting against workers of another factory of the same corporation, in the wrong belief they could defend their job in this way. This trend generates also the proliferation of fake self-employed or micro-entrepreneurs (the so called “VAT code people”), proletarians with no rights at all, nor trade union protection, working in worse conditions than factory workers, but totally lacking in class consciousness. Today, the workers' majority still joins collaborationist unions in the wrong belief they are the only able to get the “least unfavorable” conditions to workers, according to the logic of the “lesser evil”. It is a losing logic, which leads to continuous retreats and worsening of living and working conditions. In such a situation, communists should increase their activity inside the working class, by setting up party organizations in every workplace to restore class unity, to support the development of class-oriented unions and to spread throughout the working class our revolutionary program, fighting against non-Marxist ideological positions, that are emerging again in some politically active sectors of the working class. IDC: In the recent elections we saw the participation of other parties which were self-described as “communist” (e.g. “Communist Refoundation Party”, “Italian Communist Party”, “Network of Communists”, “Anticapitalist Left” etc). 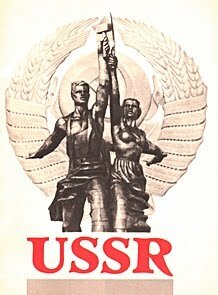 Do you consider these powers as possible allies of your Party and have you undertaken any initiatives towards the reconstruction and unification of the working class movement? We founded our Party after having acknowledged that the attempt to keep the communist project alive, as it was carried out by both the Communist Refoundation Party and the Party of Italian Communists (now renamed as Italian Communist Party), had turned into something different and had come to its end. 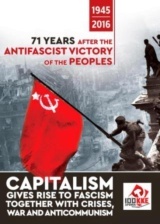 The participation of those two parties in center-left coalitions and bourgeois governments, their approval of the worst anti-workers and anti-people measures in the name of the “unity of left forces”, their parliamentary cretinism and opportunism, finally led them to the defeat of 2008. The attempt to stop this process and promote the unity of communists through the project named as “United Communists” we actively have been participating in, was paralyzed by the leaderships of both those parties. It became clear that changing anything from inside those party was impossible. 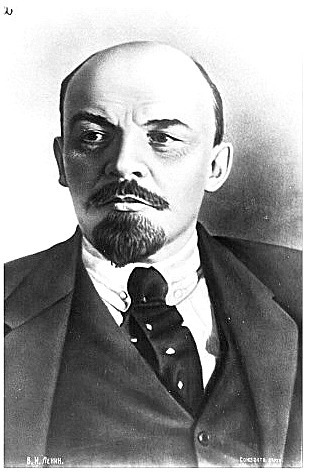 The rejection of opportunism and the promotion of the communists' unity was possible only by creating a new party, based on Marxism-Leninism. We remind those facts, because the intent of unifying communists has always been one of our Party's founding reasons and remains a central strategic item of our political acting. Of course, the issue of unity is not a purely quantitative question. About unity, we have always to answer three questions: with whom, on which basis, for which purpose? If we consider the question of unity from this point of view, we must acknowledge that unity is impossible with those parties and leaders, who definitely deviated from Marxism-Leninism and the path of proletarian revolution. Our Party will never accept any compromise on principles. A merger with those parties we separated from is excluded. Therefore, our appeal for unity is addressed not to the leaders, but to the militants in good faith of these self-styled “communist” parties. 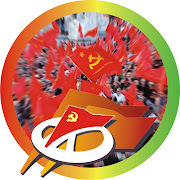 Nevertheless, we do not exclude the eventuality of temporary electoral agreements with them - on the basis of a shared program and provided that the roll's symbol shows the name “communist”, the hammer and the sickle, in order to overcome the barriers the bourgeois state puts to the participation of Communists in the elections. Before these elections too, we again addressed all communists an appeal to form a united communist electoral roll, but their opportunist leaders rejected it, preferring once more to give up the name and the symbols. If we take into consideration the overall outcome of the last elections, we can see that the majority voted for right wing parties, such as the Northern League in the center-right coalition or the 5 Stars Movement. It was not a vote in support of their programs, but rather a vote of protest against the Democratic Party and its former allies in the past coalitions (we mean the Communist Refoundation Party and the Party of Italian Communists), generically identified as “left wing”. The working masses did not forget the responsibility they bear for having supported bourgeois governments and approved antipeople measures that led to the worsening of the people's life standard, and once more punished them. 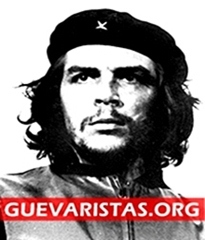 Therefore, on the one hand, we must be careful not to be confused with them, emphasizing what makes us different from them, first of all our revolutionary commitment to overthrow, not to correct, the capitalist system and to build socialism-communism. On the other hand, we must double our efforts to promote the unity and to gather communists under the flag of our Party. IDC: Despite the financial problems of the last years, Italy remains a significant member-state of the European Union. What is your Party's view of the EU's role in the planning and implementation of the antipeople-antiworkers policies? PC: Italy indeed remains one of the pillars of the EU, still ranking the 3rd place in GDP inside both the Euro Area and the EU-28 despite its average decrease of -0.6% in the period 2006-2016. Italy remains an industrial power, ranking the 7th place worldwide and the 2nd place in the EU-28 for industrial production, the 8th place worldwide for exports of manufactured products, with an increase of +4.0% on yearly base, but a decrease of -1.9% in January 2018 in respect to December 2017. Nevertheless, Italy's relatively relevant position in the imperialist pyramid and apparently good economic performance do not result in a higher life standard of the working class and the huge people's masses. The increase of industrial production did not generate the related increase of employment one would expect. Despite a number of tax and social security benefits in favor of capitalists, charged to general taxation and acting as a kind of doping on the labor market, employment, measured in hours actually worked, has even decreased, as well as the number of permanent work contracts, while fixed-term and atypical contracts, that means job insecurity, have increased. If we consider salaries, Italy ranks the 23rd place out of 28 countries, one of the lowest positions, below the average of both the Euro Area and the EU-28. The consumption expenditures per capita of the Italian households, calculated in chain-linked volumes, are constantly decreasing since 2006, before the outbreak of the last crisis: -0.6% from 2006 to 2011, -0.9% from 2011 to 2016, worse than the Euro Area average (-0.1%), much worse than the EU-28 average. The anti-people policies, carried out by the EU and both the center-left and center-right bourgeois governments, have harshly hit the working class and the people's strata, favoring a shift of wealth in favor of capital and a massive increase of poverty. According to Oxfam Yearly Report 2016, in Italy the richest 1% of the population owns the 25% of the net domestic wealth and the gap between the richest and the poorest is growing from year to year in terms of both wealth possession and income increase. According to Eurostat data, Italy has 10.5 millions poor, the highest absolute volume in the European Union, the 14% out of the 75 millions poor of the EU. Romania ranks the 2nd place with 9.8 million poor. Eurostat considers as poor those, who can't afford having a protein-based meal every two days,buying a pair of shoes per year, heating their home, paying a home rent, etc. If we consider them in terms of percentage, Italy ranks the 11th place in the EU, with 17.2% of poor out of the total domestic population. ISTAT reports, that the number of “absolutely poor” - those, who can not afford buying even basic goods - has tripled in 10 years, passing from 1.66 million in 2006 to 4.7 millions in 2016; among them, 1.3 million children. According again to ISTAT data, additional 18 millions Italians, the 30% out of the total population, are “at risk of poverty or social exclusion”. The risk of poverty in Italy is slightly higher than in Spain, higher than the EU average risk, much higher than in France and Germany. These are only a small part of the tragic results of the EU anti-people and anti-workers policies. We could continue listing them for a long. Just to summarize we can say that nothing good for the workers and the people came from Italy's participation in the EU and the euro. On the contrary, Italy's stay in the EU helped capitalists to become richer and more powerful at the expense of the people and their impoverishment. This is easily understandable, if we consider the true nature of the European Union as a conglomerate of imperialist states. Its primary function is to coordinate and integrate capitalist economies in their monopolistic stage, regulating the unavoidable competition among the member countries - a conflict that is intrinsic to capitalist economies, based on the anarchy of production and the market -, and implementing a new division of outlet markets and resources proportionally to the economic and political specific weight of each participating country. Its main purpose is to make the exploitation of workers and peoples deeper and more effective in order maximize its own monopolies' competitiveness and profits in relation to external competitors from other imperialist countries or blocks. Bourgeois propaganda often depicts the European Union as a separated power, overtopping the will of each member country. How often do we hear “Europe requires us to do this or that”, “Europe demands from us this or that”? This depiction is often used as a kind of alibi to make the masses digest the most unpopular measures, diverting their discontent towards an external entity considered indisputable and out of their reach. In facts, the European Union and its bodies have as much power, as the national bourgeoisie of each country voluntarily decided to grant it in order to better pursue the goals we mentioned above. The EU anti-people and anti-workers policies implement the will and the plans of capitalistic bourgeoisie of each member-country in a negotiated, centralized and coordinated way. Because of this we think the exit of Italy from the EU, as well as from NATO and the other imperialist organizations, is a necessary step forward towards the liberation of the working class and the people from capitalistic exploitation. It is a necessary, but not sufficient step, as, without a change of the class in power, it would simply restore the previous bourgeois sovereignty. We consider Italy's exit from the EU and NATO an essential prerequisite to overthrow capitalism and lead the working class to seize the power. IDC: Anticommunism consists an official policy of the EU which is expressed through the promotion of the equation between communism and nazism. 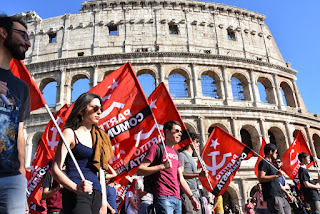 How anticommunism is expressed in Italy's political scene and within society? The anticommunist policy of the EU is implemented with different approaches and intensity from country to country. In many Eastern European countries, where the historical memory of socialism is still alive in the working class and the people strata, the bourgeois governments are applying the harshest forms of anticommunism. Communist symbols are banned, communist activity and propaganda are considered a crime and prosecuted by law, communist parties are outlawed, class-oriented trade unions and any form of workers resistance undergo violent repressions. In Western Europe, including Italy, the bourgeoisie uses a different approach, apparently softer, but very effective. 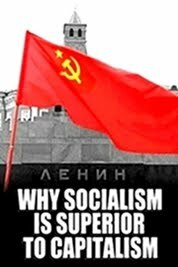 On the ideological level, it is easier for them to denigrate socialism by falsifying history, as in Western Europe the masses did not experienced socialism directly. The infamous equation between fascism and communism is based on falsification of the facts and history in the attempt to hide the true nature of fascism as the openly terrorist form of bourgeois dictatorship, generated by capitalism with the purpose to crush the workers movement. On the legal level, the few proposals to outlaw the Communist Party are more provocative, than effective, but they anyway require watchfulness and a firm response. Amendments of the Constitution or the electoral laws are often used to hinder the participation of the Communists in the parliamentary elections and to prevent the representation of the working class in the bourgeois parliaments. Of course, in our country too political espionage and repression are used to quash social conflict. We reaffirm once more that persecutions, bans and repression will never be able to stop the struggle of the Communists for the workers' power and socialism-communism. Anticommunist measures are just the expression of the fear of the bourgeois state facing the prospect of the socialist revolution. IDC: You know that the workers-people's movement in Greece, with the KKE as its vanguard, gives daily struggles against the anti-people policies of the SYRIZA-ANEL coalition government. What is the message you want to send to your comrades and the working class in Greece? 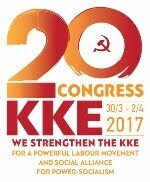 Our party is following with great attention and draws important lessons from the struggles of the Greek working class, led by the KKE. Their heroic resistance and opposition against the Troika's diktat and the European Union's robbery policies are an example for all of us and an important part of our common struggle against imperialism and its servants, old or new molded opportunism and social-democracy. 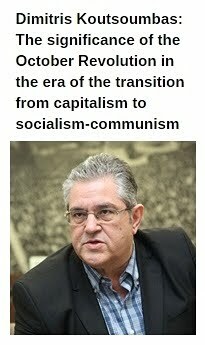 We want to assure the Greek working class and our comrades of the KKE that our Party, faithful to its internationalist commitment, will always be at their side in the common struggle against monopolies and imperialism, for the overthrow of capitalism and the construction of Socialism-Communism.